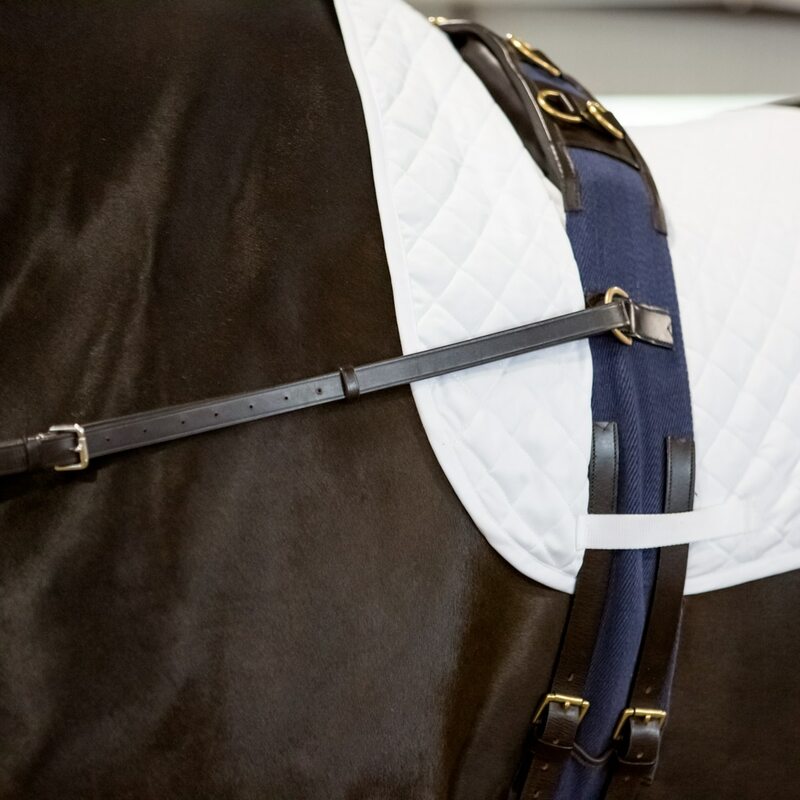 The SmartPak Training Surcingle is crafted from durable imported leather. Its quality workmanship is shown in its fine details and stainless steel hardware. Multiple Dee rings placed for use with any type of training system and padded leather pommel. Looking for the whole training package? 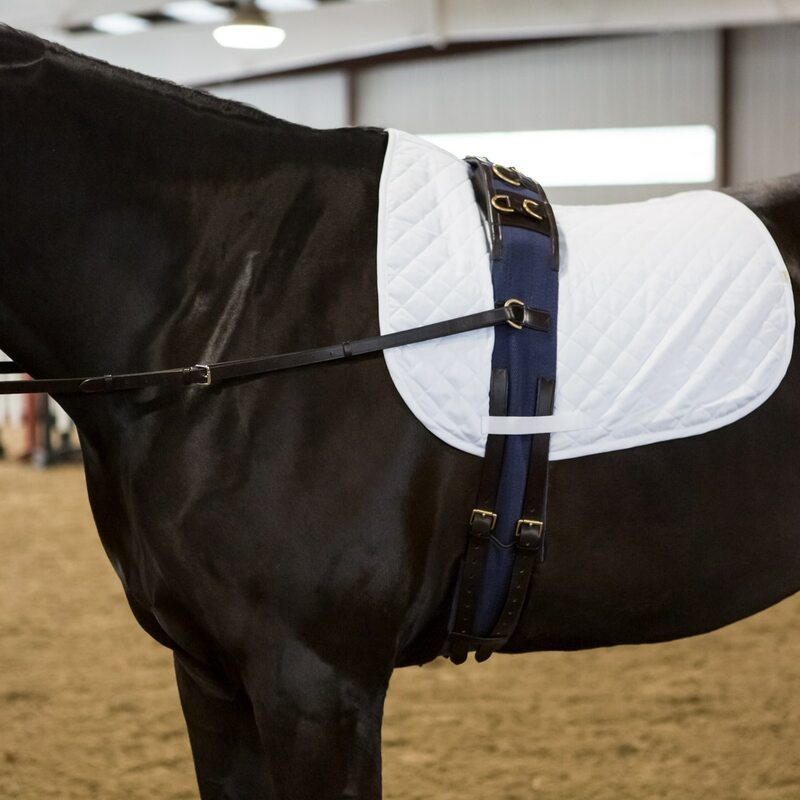 Check out the SmartPak Training Package! SmartPak Training Surcingle is rated 4.0 out of 5 by 1. Rated 4 out of 5 by ltmaas from Vital Piece Missing! I wish I could give this surcingle a perfect 5 stars, but unfortunately it’s missing a vital piece of hardware that doesn’t allow me to use my favorite training aid. 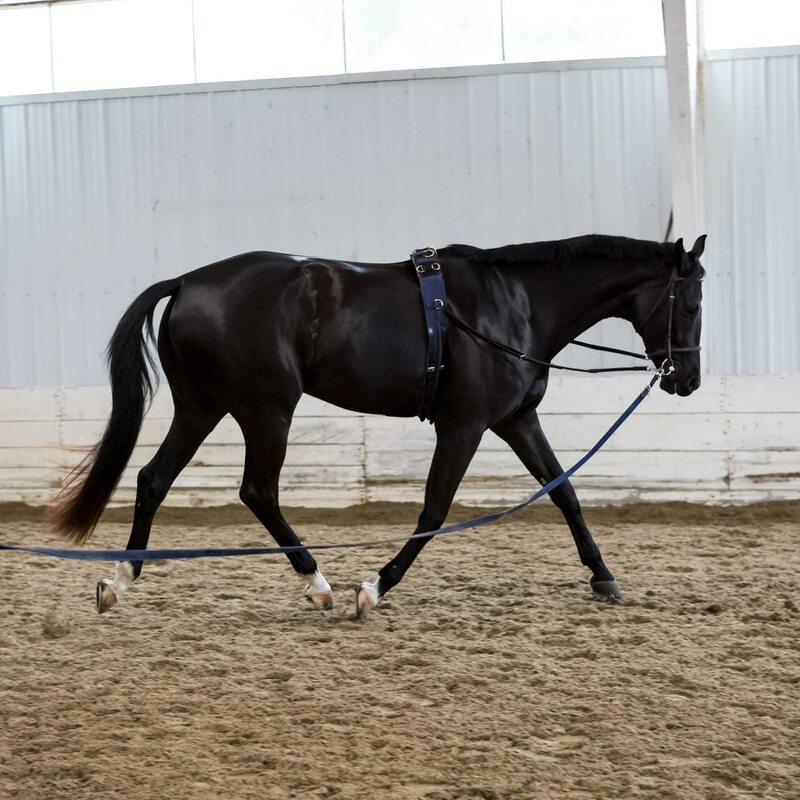 The girth on the surcingle didn’t come with a ring on it, so I am unable to use my neck stretcher on my horse while lunging him, which is something I like to frequently use. I could attach it somewhere else, but I personally like attaching it between the front legs. Otherwise, the surcingle is lovely and I love the navy color, and the leather used!